A Shropshire author is celebrating after being nominated for a county business award. Lorna McCann, who writes fun and engaging stories for children aged 4 to 7, is among the nominees for children’s product of the year at the Businesses for Children Awards 2018. The nomination comes as Lorna, from Childs Ercall, near Newport, puts the finishing touches to her latest children’s picture book ‘Felix – the small boy with the BIG imagination’. 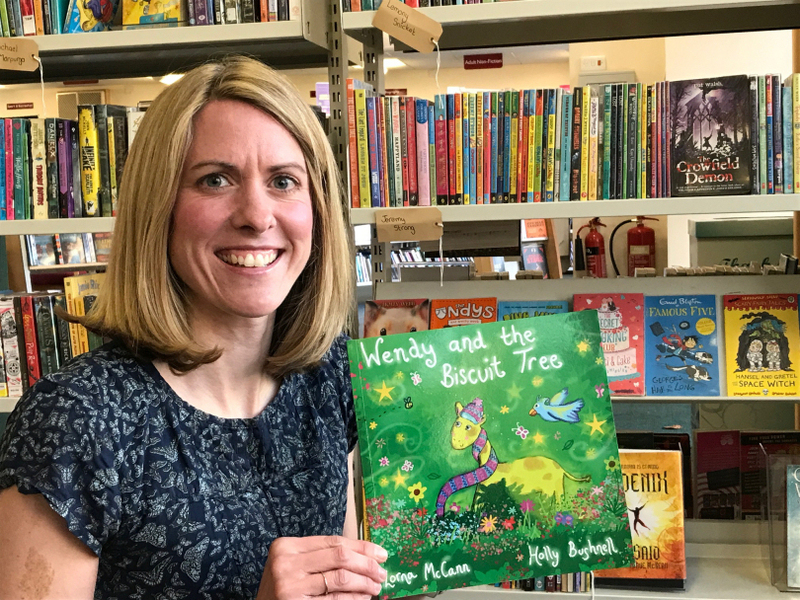 The 37-year-old was inspired to start writing children’s books by her own two boys, Lucas (6) and Finn (5), and last November saw Lorna publish her first book ‘Wendy and the Biscuit Tree’. Since then the writer, who also runs her own public relations company Lorna McCann PR, has provided numerous author visits to schools and nurseries across the county to share her passion for reading and writing with young children. She said: “I’ve had such a fantastic year since publishing my first book and I have met so many wonderful children and teachers along the way. Receiving this nomination really is the icing on the cake to a great 12 months. Lorna forms part of the marketing team for Team Author UK – an alliance of professionals helping writers to self-publish books. Through her specialist PR work she has become a champion for other authors in Shropshire and beyond, helping to raise the profile of successful indie-authors.